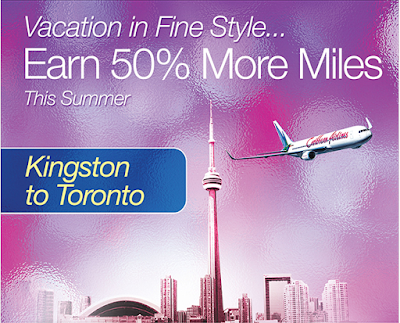 Caribbean Miles (also 7th Heaven Rewards) members can earn 50% more miles when they fly between Toronto and Kingston on Air Jamaica/Caribbean Airlines. This offer is good until September 15th. Full details can be found here. 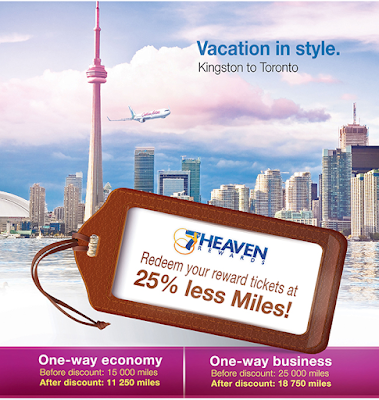 Also available is a 25% discount on the number of miles required to redeem for award flights between the two cities! Full details can be found here.